Thank you for visiting our site, your source for real estate in Denver and the surrounding area. Looking to purchase a new home? Avoid feeling overwhelmed, our experience and knowledge can help you find the home of your dreams. Thinking of selling? Exposure is everything. Leverage our experience and marketing tools to turn ‘selling’ into ‘sold’. Have questions? We are here to help find answers and provide insights into the local area. Downsizing or Upsizing Situations- Buyers looking to change their home environment, i.e. size of home, specific home features needed, and/or HOA amenities, etc. Sellers simply moving to a new home locally or out of state, transitioning into a senior living type arrangement. Complex Real Estate Combinations- Sell then Buy, or Buy then Sell. Later in Life Transition- those looking for low maintenance, patio homes, retirement/active adult living age 55+ type communities. Estate/Probate, Trust, Conservatorships; We have experience in a vast range of Complex Real Estate Transactions. First Time, or First Time in a long time Home Buyers- Any Age- we've helped people from 18-94 yrs young purchase a home! We work with Investors to Buy/Sell properties, and Homeowners who prefer to sell to Investors for cash/quick close type options with no hassles. 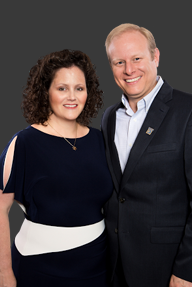 Amy & Scott Grossman, Broker Associates, Madison and Company. 2 Bedroom, 2 Bath, 1 Level, 926 sq. ft.
2 Bedroom, 2 Bath, 1 Level, 1,172 sq. ft.
3 Bedroom, 2 Bath, 1 Level, 1,372 sq. ft.
3 Bedroom, 3 Bath, 2 Level, 1,663 sq. ft.
Town home, 3 Bedroom, 3 Bath, 1658 sq. ft.